Home › Cutter Suction Dredger › Cutter Suction Dredger 450 › Cutter Suction Dredger 450 "Kingfisher"
Dutch contractor Van der Lee has acquired a standard Damen cutter suction dredger type CSD450. 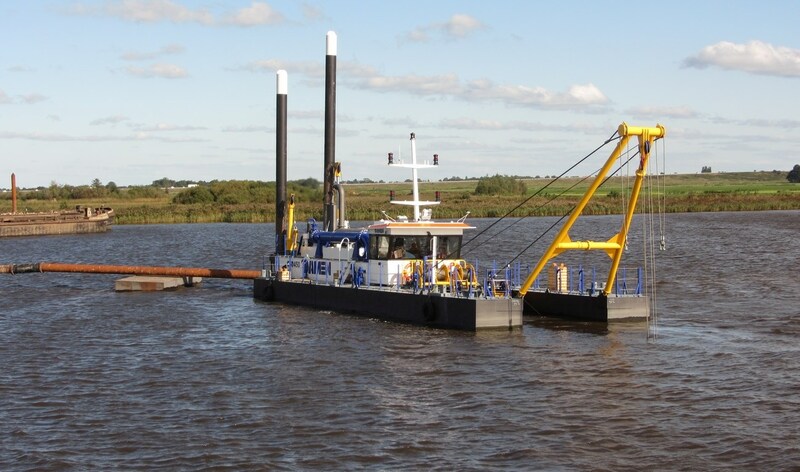 The stationary dredger will mine sand in the Frisian lakes. This sand will be used in a motorway construction project near Joure, in the North of The Netherlands. The dredger will work at a dredging depth between -2m and -6 m. The dredger has been towed fully assembled to the jobsite.